Dr Christina (Tina) Parolin is the Academy’s Executive Director. Tina has worked at the Academy since 2008, and was appointed Executive Director in March 2010. 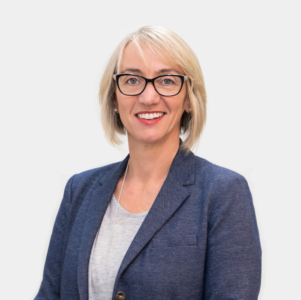 Tina has worked in a variety of policy and administrative roles across the higher education sector, including at IDP Education Australia and as National Manager, Education at the Royal Australian Institute of Architects. She is a member of the Board of the Australian Council of Learned Academies Secretariat. Tina gained her PhD in history from the Australian National University. In 2009, she was awarded the J. G. Crawford Prize for her study, Radical Spaces, which explores the connection between architecture and space and popular radical culture in early 19th century London. During 2010–11 she held a Visiting Fellowship with the Humanities Research Centre at the Australian National University. She is co-editor, along with Iain McCalman and Michael Davis, of Newgate in Revolution: an anthology of radical Prison Literature in the Age of Revolution. Her book, Radical spaces: Venues of popular politics in London 1790–c.1845, was published in 2010 by ANU E Press.